Manzanillo is a little town located in Limón, south of Puerto Viejo; this attractive town of white sand, turquoise waters, palm trees and an afro - Caribbean culture, is the perfect place to rest during your vacations. Here you will find the National Wildlife Refuge Gandoca - Manzanillo, opened in 1985, this refuge includes the town and imposes strict regulations on regional development. Its name comes from an old Manzanillo tree that was in the center of the town, around 1940. In Manzanillo, you will find a variety of restaurants, cafes and markets that offers to the visitors excellent meals, and souvenirs; in addition, this area has different hotels and accommodation for all tastes and budgets. 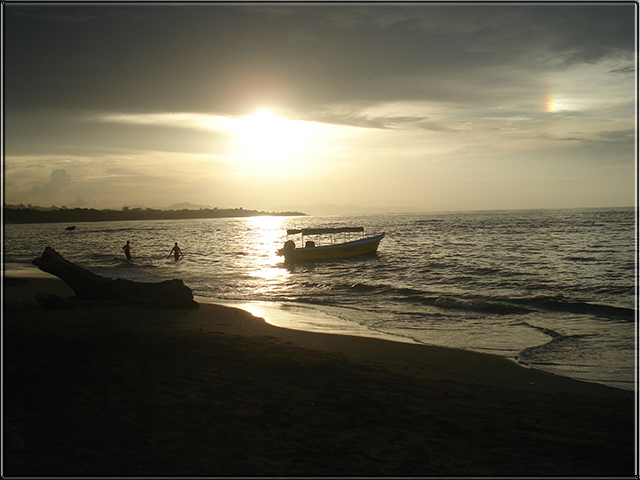 In Manzanillo you can do many activities, most of them focused on nature. Its excellent coral reef and tropical paradise beach, make it the perfect place to dive, snorkel, swim, kayak or dolphin watch, some of these dolphins live in waters close to the beach; but always remember to be careful and ask the locals about sea currents and tides. 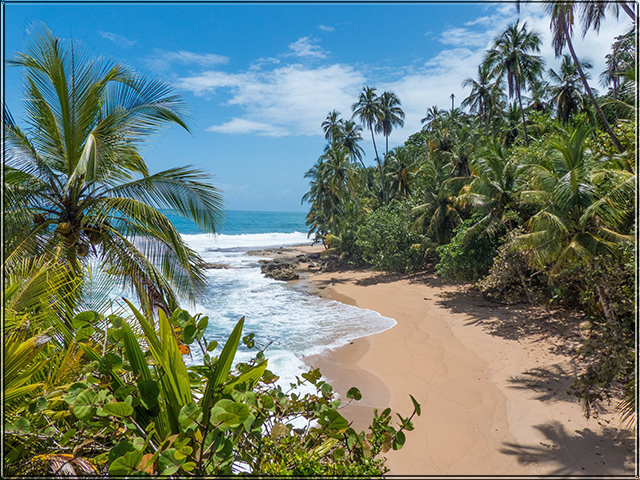 If you just want to rest on the sand or take walks along the beach or the forest, you can walk to Punta Mona and observe some of the monkeys native species of Costa Rica in their natural habitat; If you like nature this is the best place for you. You can also visit nearby towns such as Hone Creek, Bri Bri and Sixaola. There are several transportation options to reach this Caribbean area. This shared transportation service is the most convenient, since you will not need to move to any bus terminal, transportation will arrive at the lobby or the hotel reception for you; If your hotel is out of our route, we will tell you which is the closest hotel in which we can offer the service. Interbus offers shuttle service to Manzanillo, offering for your convenience two departure times, one in the morning around 07:30 am and the next one in the afternoon around 14:45 hrs, the exact pick up time depends on the hotel where you are going to stay. Interbus offers a pleasant journey, it does not require a minimum of passengers per reservation and you can reserve your seat when you want in the following link, remember to book in advance..Book Here. If you travel from San Jose to Manzanillo you must to go to the Caribbean Terminal where you can choose to travel from San José to the city of Limón, and then take another bus to Manzanillo; or you can take a service from San Jose to Manzanillo directly. You can choose to fly to this area, arriving at the Limon airport or the Sixaola airport located near the border with Panama; the company in charge of offering this service is Nature Air Costa Rica. There are many options and attractions to visit this Caribbean area, choose the ones that best fit your needs and enjoy the Costa Rican Caribbean.